Today marks the end of the first decade in the new millennium. 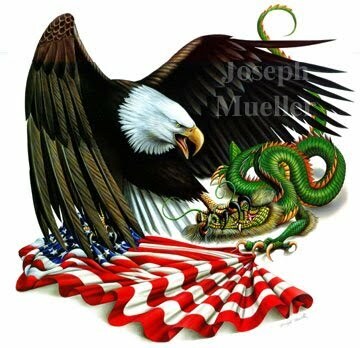 The past ten years have been a tale of two countries: America, the yester-century superpower on the precipice of decline, whose trade deficit has fueled the rapid ascent of a steadfast challenger, China. Together the odd couple grabbed headlines and dominated global issues, leaving Europe, Russia and Japan scrambling to stay relevant. As we stand on the cusp of a new beginning and, to borrow a line from American poet Emily Dickinson, “look back on time with kindly eyes,” I offer a short poem of my own to recapitulate the top ten events in this deciding decade. I am sure Ms. Dickinson would excuse my occasional iambic tetrameters. before a ray of hope was found. how the Plagues of Egypt stymied. oceans rose and rivers simmered. such is the curious world we made. 1. The September 11 Attacks – The low-tech, well-coordinated assault on the twin towers marked the beginning of a troubled decade. From that point on, events in American history would forever be divided into those that happened before 9-11 and those that happened after. The terrorist attacks were a rude awakening for Americans that their action overseas could have grave consequences at home. New words suddenly entered our everyday lexicon: “Al Qaeda,” “jihad,” “Islamist” and the infamous “Axis of Evil.” Just 20 months after the world celebrated a new millennium of hopes and dreams, America found itself in a nightmare that would never end. 2. 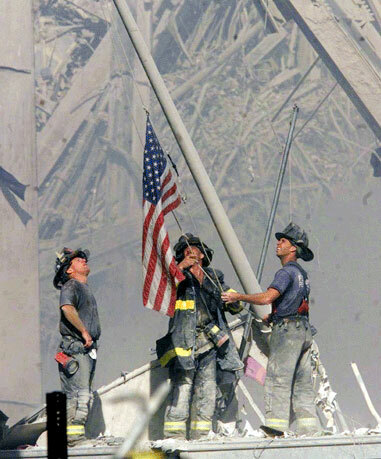 Afghanistan and Iraq – September 11 had turned America into a wounded animal, hungry for revenge. The attacks led to its twin invasions in the Middle East, as the Bush Administration took on an all-out retaliatory initiative under the “War on Terror” banner. Launched in March 2003, the war in Iraq became the most controversial military action of the United States since the invasion of Panama in the late 80s. In the end no weapons of mass destruction, the original justification for toppling Saddam Hussein, was found. Seven years on, Osama Bin Laden is still at large and the land that is home to the oldest civilization in the world continues to be ravaged by daily suicide bombings and sectarian violence. Far from achieving its stated goal of making Afghanistan and Iraq safer, America’s strategy to “shock and awe” has instead put two Vietnams on its hands. 3. The Great Recession – The global financial crisis, triggered by the burst of the sub-prime mortgage bubble in the United States, gave new meaning to the old saying that when America sneezes, the world catches a cold. In September 2008, the collapse of Lehman Brothers sent shock waves across global stock markets and plunged America into the deepest recession since the Great Depression. 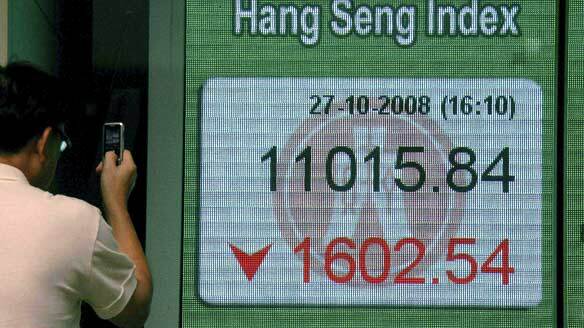 Half way around the world, the bankruptcy pushed the Hang Seng Index down by 12.7% on October 27 that year and squandered the life savings of some 40,000 mini-bond holders in Hong Kong. In the weeks and months following the meltdown, corporate executives from Detroit’s Big Three turned up in Washington begging for government handouts and Wall Street bankers, once revered and envied, became social pariahs. The crown of America’s high finance, it seems, has lost much of its luster. 4. Obama Mania – Just when the world was busy writing obituaries for Uncle Sam, he surprised us all with a move that no one had thought possible. With the election of the first black president, the American Dream flickered back to life long enough to silence even the staunchest skeptics. Obama’s history-making win was also a story of atonement for a race of people wronged by history and mistreated by fellow citizens. Outside America, the regime change marked the end of the country’s cowboy diplomacy and lone-ranger unilateralism. The young president even received a Nobel Peace Prize, the most coveted award on the planet, just for not being George W. Bush. Obama is at once America’s symbol of hope and its best PR spokesperson on the world stage. 5. The Rise of New China – Since its accession to the WTO in 2001, China has gone on an unstoppable rise to G-2 status. It surpassed France’s GDP in 2004 and in less than three years replaced Germany as the world’s third largest economy. With a predicted 9% economic growth next year, it is all but certain to overtake Japan in the new decade. In August 2008, the communist party wowed the world with a breathtaking opening ceremony at the Beijing Olympics, showcasing not only its new wealth but also talent and creativity befitting a superpower. But China’s success does not come without a price. Daily reports of man-made disasters from deadly coal mine explosions to toxic food products dominate the news, making the country look more like Victorian England in a Charles Dickson novel than the kind of classless utopia depicted in propaganda films. 6. Tsunami and Earthquake – On Boxing Day 2004, a powerful 9.3-magnitude earthquake shook the floor of the Indian Ocean and triggered a series of tsunamis that killed a quarter million people in 14 countries. Indonesia, ever the perennial victim of earthquakes, floods and volcano eruptions, bore the brunt of the seismic event. 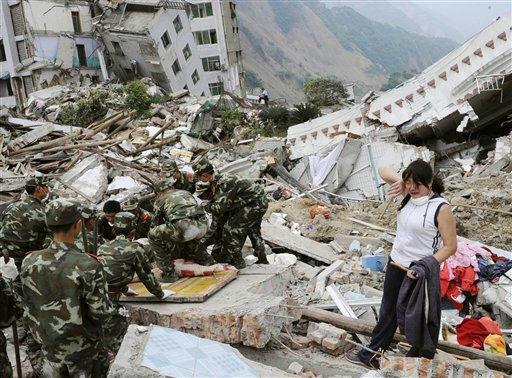 The gut-wrenching disaster was matched in devastation four years later by the Sichuan Earthquake that claimed 87,000 lives. As the Katrina debacle in 2005 showed us, a natural disaster is often followed by a man-made one, when authorities fail to respond properly and victims are left to their own devices. In the case of the South Asian Tsunami and Sichuan Earthquake, the governments involved managed to act swiftly and draw praise from the international community. But China’s goodwill from its rescue efforts proved short-lived, as allegations of cover-ups and intimidation of victims’ families soon came to light. 7. The Plagues of Asia – Along with the massive tsunami and earthquake came deadly viruses, one strain more frightening than the last. It was as if God was reenacting the Book of Exodus right here in Asia. In 2003, the sudden outbreak of the little-known SARS virus took lives and pounded regional economies. In Hong Kong, where the outbreak hit the hardest, Armageddon unfolded on the evening news night after night, week after week. By the end of the decade, Hong Kong has survived the SARS epidemic as well as bursts of avian and swine flu outbreaks, and citizens have grown thoroughly sick of hearing H1N1, H5N1 and other four-digit alphanumeric codes. 8. Creation of the Euro – Turning our attention away from the U.S. and China, on New Year’s Day 2002 the Euro became the legal tender for 16 EU member states. Introduction of a common currency realized the ambition in the Maastricht Treaty to create an economic system with a population half the size of India’s. It was part of Europe’s Charlemagnian effort to challenge America’s hegemony and to contain China’s increasing dominance on the world stage. While conspiracy theorists cited the Book of Revelation and called the EU the “fourth beast” in Nebuchadnezzar’s vision, others questioned the stability and staying power of the new currency. Like the panic over the Y2K bug and the Large Hadron Collider, fear of the Euro proved to be just a puff of hot air. 9. Global Warming – Speaking of hot air, global warming is real and we have the pictures to prove it. 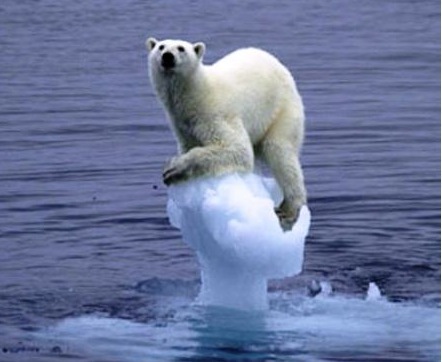 The arctic ice caps are melting and the polar bears are starving to extinction. And if we keep destroying our planet the way we did to Pandora, the fictional moon in James Cameron’s sci-fi epic Avatar, it is only a matter of time when the Maldives will be under water along with low-lying cities like Buenos Aires, New York and Shanghai. In 2005, the watershed Kyoto Protocol went into effect but to this date, the United States remains the only country on the planet that has shown no intention to ratify the treaty. Weeks before the decade drew to a close, 16,500 delegates from 183 nations once again found themselves in the same room, this time for a climate change conference in Copenhagen. High profile as it as it was, the summit amounted to not much more than a roomful of people waiting to see which one of the two mega-polluters, America or China, would blink first. Twelve days and 40,000 tons of carbon dioxide equivalent later, the conference had nothing to show for except a three-page non-binding Copenhagen Accord. 10. Inter-networking – The decade witnessed the replacement of the television set by the Internet as our primary source of information, entertainment and, for some of us, companionship. Social networking websites like Facebook and Twitter have forever changed the way we interact and socialize with each other. Good old-fashioned visits and even telephone calls have given way to tweeting, wall-posting and blogging. The onslaught of the world wide web has also sounded the death knell for conventional media. Dozens of newspapers and magazines in the United States are closing every year and the venerable Chicago Tribune and Philadelphia Inquirer are among the many to file for bankruptcy. In the mean time, file sharing technology continues to hemorrhage the music and film industries, while record stores and even CDs and DVDs are quickly becoming a thing of the past. From terrorist attacks to deadly pandemics and a global financial crisis, the past ten years have brought us more bad news than good, more tragedies than celebrations. And if the foiled Christmas attack by Nigerian spoiled-brat-turned-suicide-bomber and the sentencing of Chinese dissident Liu Xiaobo (劉曉波) on that same day are any indication of what lies ahead, the next ten years will not likely be much rosier than the last. That is perhaps more the reason for us to raise a champagne glass and pat ourselves on the shoulders for coming out of a trying decade relatively unscathed and to prepare for many more roller-coaster rides to come. May history judge us fairly. Happy 2010!